At the Charles Lea Center, we do more than provide services to men, women and children; we also support them as they strive to reach their potential. Often this means getting involved on a county, state or national level to make sure their voice is heard. There are several yearly events in which we participate. In addition, we have establised ways for individuals to be better heard. The CLC hosts, in conjunction with the McCarthy Teszler School and the Spartanburg County Disability and Special Needs Board, an annual Legislative Luncheon that brings together state and county elected officials and community leaders. At this event, held every December, we work to inform guests of our successes, as well as our concerns. An Annual Meeting also is held every year, usually in late October or early November, to inform community leaders and friends of the Center of all that is happening at the Charles Lea Center. A highlight of this eent is the presentation of the Lee S. Poole Advocacy and Service Award.. Established in 2010, this award honors and recognizes the the commitment of an individual who had worked to improve the quality of life for people with disabilites in Spartanburg Country. The award is named in memory of Lee Sterling Poole, who receied services at Charles Lea Center. Lee loved life and touched the hearts of all who met him. He passed away at the age of 27 in 2009. At the Charles Lea Center we have, "the Voice," a peer-elected group of individuals who serve as a governing council for the men and women who receive services here. The Voice has yearly elections and its leaders work to make their concerns known. They also help plan events and outings. Case Managers along with other staff, can often be seen at walks and rallies to benefit individuals at the Charles Lea Center. 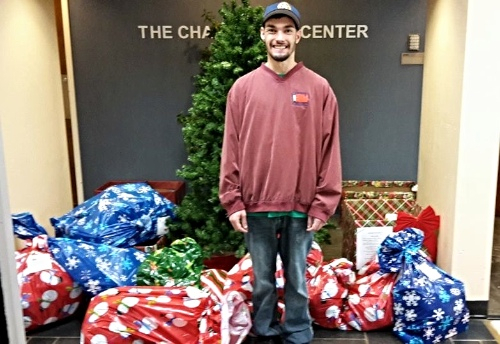 And our Case Managers sponsor an Angel Tree during the holiday season that helps to provide Christmas gifts to all families that receive services from the Charles Lea Center. In addition, our staff is active in the South Carolina Human Services Providers Association, which works to bring consensus for the benefit our of individuals, to providers across the state.